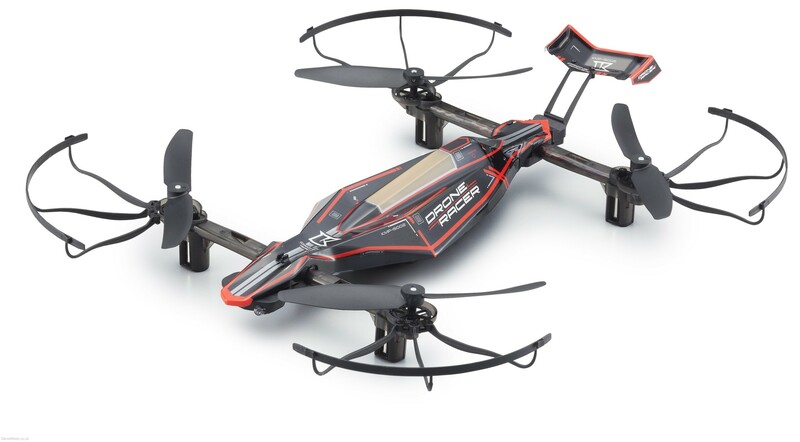 The DRONE RACER is equipped with advanced ultrasonic sensors, 6-axis gyroscope (3-axis angle speed sensors, 3-axis acceleration sensors), barometric pressure sensor and four fast response mini coreless motors. Speed switching function provides a choice between “Easy Mode” and “Active Mode” and delivers direct intuitive flight control. 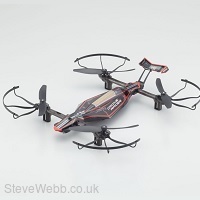 The DRONE RACER is not designed for high altitude performance, but for people to enjoy flying safely within their field of vision near the ground. 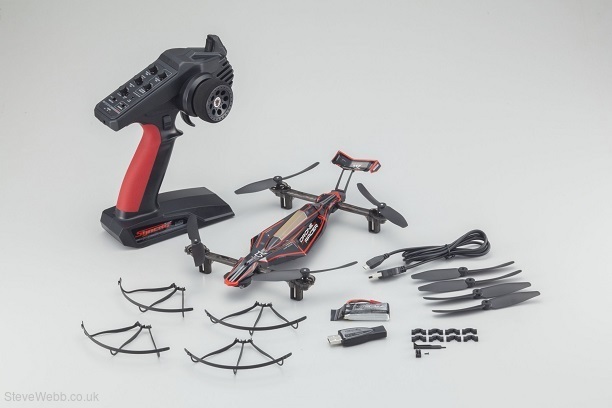 A total safety system includes: removable propeller guards; “PROPELLER AUTO STOP SYSTEM” that activates in case you lose control of the throttle; “ANGLE EMERGENCY AUTO STOP SYSTEM” if the drone becomes inverted, and “RADIO CUT EMERGENCY AUTO STOP SYSTEM” in case the radio signal is lost. Download the free (DRONE RACER SETTING MANAGER) to adjust to your favourite setting and turn up the volume of fun. Flight Time: 10 min approx.